Farmer, MLA (1937-1940), MLA (1941-1945), MLA (1946-1949), MLA (1950-1953). Born at Lorette on 2 May 1893, son of Leon Marcoux and Adeline Ferland, he was educated at Lorette Public School and St. Boniface College. On 20 July 1920, he married Eloria Normandeau, the daughter of Wilfrid Normandeau, of Giroux. They had five children: Blanche Marcoux, Leonard Marcoux, Homer Marcoux, Laurent Marcoux, and Lucien Marcoux. He was a member of l’Association des Canadiens-Francais du Manitoba, President des Cominissaires d’ecoles Can. Fr. du Manitoba. He was Reeve of the Rural Municipality of Tache from 1934 to 1939. 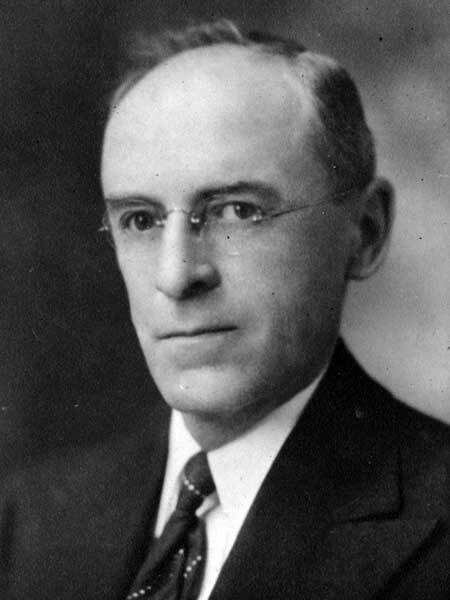 He was first elected to the Manitoba Legislature at the 1936 general election and was re-elected in 1941, 1945, and 1949. He was appointed Minister without Portfolio in John Bracken’s government in September 1936, becoming Minister of Municipal Affairs late in 1948. He died at St. Boniface on 16 November 1951. The Canadian Parliamentary Guide, 1938.